Operative Experience introduces RealMom, a breakthrough birthing simulator for labor and delivery training - Operative Experience, Inc. The world’s only complete and fully integrated labor and delivery suite. Open surgery, hands-in-the-body simulators for surgical and medical team training. Super-realistic, point of injury casualty care training for comprehensive TCCC preparation. 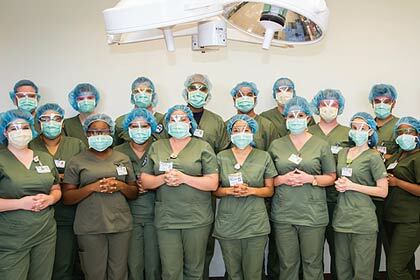 A C-section Simulator Prepares Surgical Tech Students for the OR. 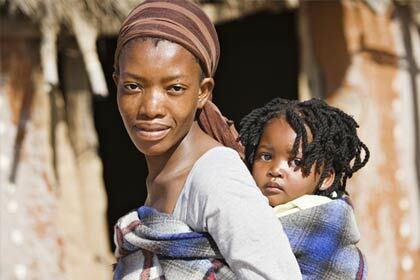 As a recipient of an award through the USAID’s “Saving Lives at Birth” Program, OEI’s training systems will be used to reduce the 150,000 annual deaths that occur during childbirth. North East, Md. June 19, 2017 — Operative Experience, Inc. (OEI), a leading developer of high-fidelity human patient simulators, today announced the launch of RealMom™, a groundbreaking, full-body childbirth simulator designed to revolutionize the way clinicians and practitioners develop proficiency in labor and delivery procedures. Leapfrogging today’s hard-plastic birthing manikins, RealMom is the most natural and realistic childbirth simulator ever created, featuring incredibly lifelike soft tissue, accurate internal anatomy and an active birth canal with human-like dilation and effacement. RealMom provides learners with a high-adrenaline, “true-to-life” delivery room experience and a full spectrum of clinical scenarios from normal fetal delivery to more complicated procedures, such as breech, shoulder dystocia, nuchal cord, cord prolapse, and assisted delivery with forceps and vacuum devices. RealMom can be operated wirelessly using an iOS or Android tablet device and provides precise control of dilation and delivery progression as well as heart rate and tones, contractions, pulses, blood pressure and SPO2 levels. As well as being incredibly realistic and lifelike, RealMom is exceptionally reliable with no complicated set-up or programming required of instructors and subsequently no simulator downtime. Operative Experience, Inc. is on a mission to revolutionize surgical and pre-hospital training. Using medical simulators with unprecedented anatomical and surgical fidelity within a rigorous experiential instructional paradigm, OEI reduces training costs while increasing training effectiveness and retention. OEI is dedicated to applying this technology to reduce combat and civilian surgical mortality and to provide humanitarian support to developing countries with limited medical resources. Lou Oberndorf to take over as CEO of Operative Experience. Operative Experience Announces the Appointment of Ronald Blanck to its Board of Directors. Operative Experience Announces TCCS Plus, a High-Fidelity Training Simulator for Medical Provider Level Tactical Casualty Care. Operative Experience, Inc. is on a mission to revolutionize surgical and pre-hospital training. Using medical simulators with unprecedented anatomical and surgical fidelity within a rigorous experiential instructional paradigm, Operative Experience reduces training costs while increasing training effectiveness and retention.